12/24/17: Good tidings to all; plus final 2017 Council meeting! As we celebrate Christmas and other holiday traditions this year, I want to express my profound gratitude to you – a member of our engaged community – for the plethora of ways you make our city better. I enter 2018 grateful for all that we are, all that we have, and for all of you! We are so lucky to live here in Encinitas. I hope you are able to spend time with loved ones enjoying camaraderie, the outdoors and the bounty that blesses all of us. The Community Resource Center and local faith organizations provide a rotational winter shelter for homeless individuals to stay for two weeks inside each congregation and be provided with meals and assistance. My understanding of homelessness was deepened by sharing a meal and the stories of those who find themselves without a home. Councilmembers Tasha Boerner-Horvath (fifth from the left) and Joe Mosca (second from the right) also participated thanks to an invitation from our city staff member Diane Langager (second from the left). One of the more difficult items at last week’s long City Council meeting was a new proposal from our professional staff to include a multi-use trail in the Leucadia Streetscape project. This trail would have run in the dirt, separated from cars, from A Street to La Costa Ave, which is essentially the entirety of Leucadia. It would have been dedicated exclusively to biking and walking. The cost of construction was presented as almost $900,000, plus about $66,000 for design and permitting work. 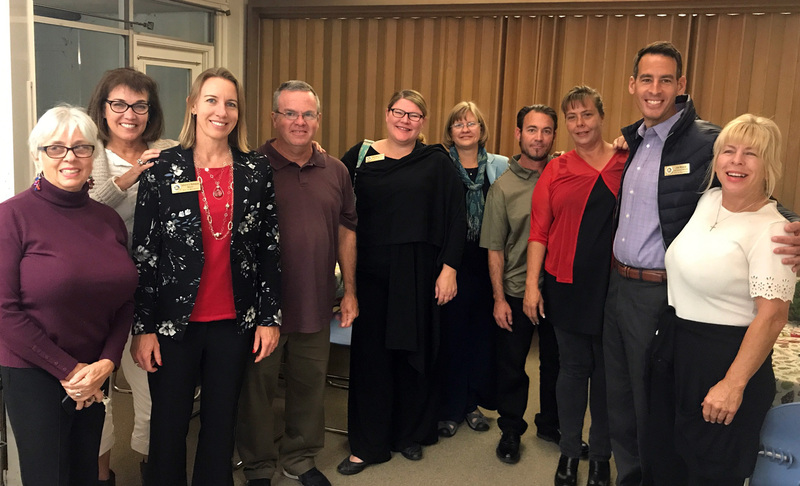 I thought it would be a great addition to Leucadia, but I was on the losing side – the Council voted 3-2, with Kranz, Muir and Mosca voting No to the multi-use trail and Boerner-Horvath and me voting Yes. The majority voted to move forward with a design contract that awarded additional money for required storm water management but no money for the design of the multi-use trail. Apprehension about whether the city building this multi-use trail would relieve SANDAG of its responsibility to build a rail trail in the rail corridor, possibly substituting a west of the tracks trail for an east of the tracks trail. How the trail would affect the planned parking pods and parking in general in the rail corridor. Adding further delay to the 10-years-in-development Leucadia Streetscape project based on the need to make this amendment. Confusion about whether the trail would receive approval from the North County Transit District. Alotting more money to a project that is already expensive. I was pretty disappointed, and I wish we’d been presented with more context for understanding whether these concerns are valid. But the idea isn’t dead yet – after the vote, we asked the city staff to return to us with more information about the realities and constraints of the proposed project. We shouldn’t do a once-a-generation project and miss out on an opportunity to create a separate space for bikes, walkers and joggers. I think we’re better served by a project that utilizes the dirt in the rail corridor instead of leaving the dirt untouched while spending $20 million making changes just to the city-owned right-of-way – basically reconfiguring the paved road and the sidewalks. There’s more real estate to utilize and I’d like us to do so, even if it complicates negotiations. Allowing driving cars, parked cars, bikes, pedestrians and storm water to share the ground requires as much space as possible. On a second mobility item also dealing with Leucadia, we also split on how to handle interim road striping projects and two proposed mid-block crossings in Leucadia before the Streetscape begins. In the end, the majority voted to send the proposals to the Traffic & Public Safety Commission instead of my preference to move things forward that night. Our next big item involved the appeal of a contentious nine-home Leucadia development project called Hymettus Estates, where we struggled to find a solution and split multiple times on various motions. We ultimately affirmed our city’s Planning Commission in approving the final map after making some modifications to the CC&Rs and other developer requirements surrounding the maintenance of pervious pavers, which process stormwater. Most of the time your City Council functions pretty smoothly as a team that puts aside small differences to find consensus, but occasionally we can dig in and suffer through a lot of disagreement. Last week was one of those times. I personally like and respect each member of our Council, and I work hard to truly understand my colleagues’ concerns and what they’re working to achieve. Then I try to help us craft a consensus path. Our success depends on the good-faith effort of each councilmember. Fortunately, we ended our City Council meeting with some very satisfying news. The auditor’s clean annual financial report showed that in the last fiscal year our revenues exceeded expenditures in the general fund by $12.6 million, leaving us with a general fund of $25.7 million. Our capital expenditures last year were $15.2 million. and our debt service payments were $4.3 million. These excess revenues allow us to fund “pay as you go” capital projects without Encinitas having to incur additional debt. The city continues to be financially healthy, which is a wonderful way to bid a fond farewell to 2017! 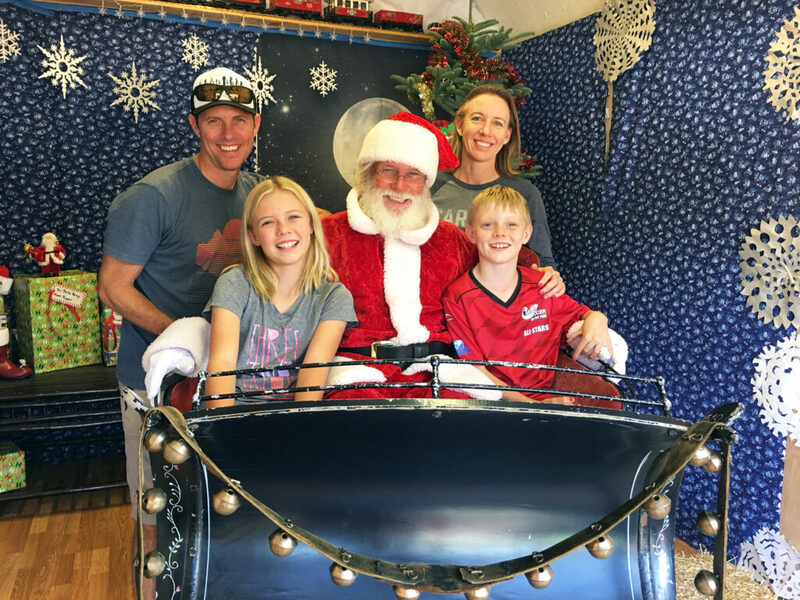 We ran into Santa at Sunshine Gardens and whispered all our holiday wishes to him. For those who celebrate Christmas tomorrow, hopefully Santa brings cookies not coal!